With a toddler at home and a baby on the way, Shilla Kim-Parker is on the move. When I met Kim-Parker, she had a busy, full-time corporate job and a side-hustle that was becoming more demanding. She decided to leave the comfort of her day job to launch a tech platform she was developing with her co-founder and Chief Technology Officer Brad Mallow. Her mission in creating ShopThrilling.com is to bring the fun of shopping at local second hand stores online. Like many, Kim-Parker loved hunting for unique items of clothing at vintage and thrift stores. "Usually each item has been hand-picked by the store owner, who has decades of experience curating the highest quality and most interesting pieces from around the world. Plus, you’re getting them at incredible value. There’s something universally appealing about hunting for these treasures." However, the growing demands of work and family made it increasingly difficult to make the trek to individual boutiques. Why not, she wondered, bring the magic of shopping these stores to the palm of your hand? Enter ShopThrilling.com, which partners with local store owners and does all the technological and logistical work involved with e-commerce — from photography to shipping. For vintage and thrift fans, ShopThrilling.com offers a one-stop shop to virtually browse (and buy) from the best local stores. Kim-Parker was also motivated by a growing desire to do her part for the environment. “New apparel production consumes enormous levels of natural resources and is a leading contributor to pollution around the world,” she says. “Buying an item of clothing second-hand drastically reduces its waste impact.” Kim-Parker wanted to make it as easy as possible for people to "not only shop local, but shop second." ShopThrilling.com is also giving back in more concrete ways, allowing influencers to donate their clothing to the site, with proceeds going to clothing kids in need. "Paige Spiranac, a remarkable woman and golf talent, was first to do this, and we are incredibly grateful to her for leading the way." 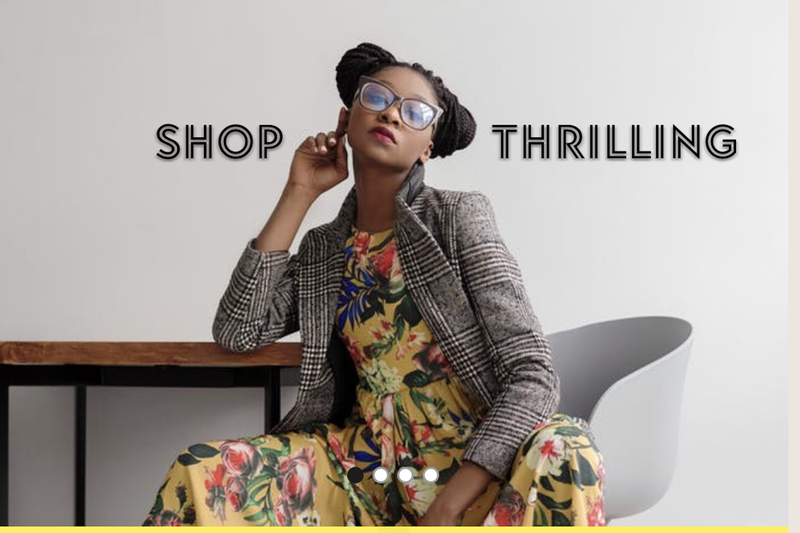 ShopThrilling.com launched November 2018 and is adding stores as quickly as possible, given the growing wait-list of stores across the country eager to sign up. With her second child due in March, Kim-Parker says with a laugh, "I don’t anticipate a lot of sleep this year."